A Majority Democratic House of Representatives + A Majority Republican Senate + A Republican White House = What? The headlining result from this year’s midterm elections is that the Senate remains majority Republican meanwhile the House of Representatives has become a Democratic majority. What does this mean for HR? Challenge Compulsory Arbitration Clauses: It is suggested that there may be a push to limit or ban compulsory arbitration in contracts, as the practice allows employers to bury accusations (such as discrimination and sexual harassment) and keep repeat offenders employed. Increase the Number of Sick Days: Democrats are said to want to see seven federally mandated sick days per year. Establish Paid Family Leave: MarketWatch notes that the United States currently is “the only developed nation in the world that does not offer paid family leave,” a feature that is supported by both political parties. The challenge comes with determining how this program should be funded. Fisher Phillips notes that with a Republican led Senate, certain appointments could be moved forward. They suggest keeping an eye on the United States Department of Labor (USDOL) and the Equal Employment Opportunity Commission (EEOC) for new key leadership personnel. Fisher Phillips also notes that there could be more discussion on the Affordable Care Act (ACA), immigration (which could impact labor laws for immigrants), and labor & employment matters. While the Federal government election results often take center stage, equally important to review are the winners for your State Assembly and Senate. For instance, in New York, the Senate has shifted to control under the Democratic party. As a result, topics such as marijuana legalization and reproductive health could be given a larger spotlight. 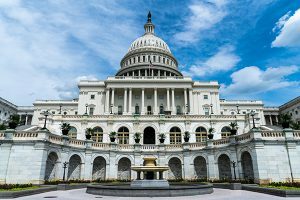 These topics could result in HR representatives having to adjust benefits and / or work policies in order to accommodate possible new legislation. What are your thoughts on the midterm elections and the possible impact they will have on human resources? Share your thoughts in the comments section below.